The court denied the relief to Shah, who is currently in judicial custody, after the Enforcement Directorate or ED said that he was not needed for further custodial interrogation. 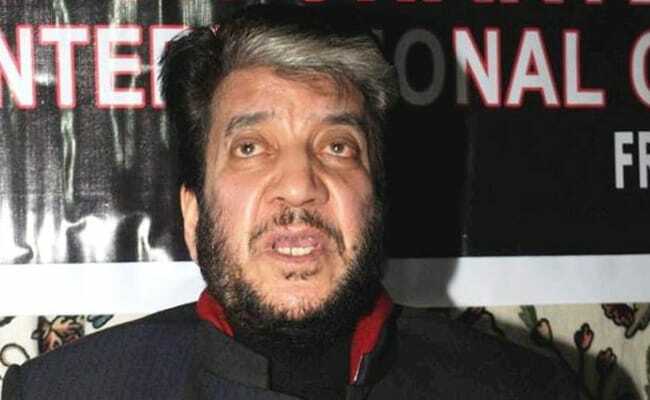 New Delhi: A Delhi court today denied bail to Kashmiri separatist leader Shabir Shah, who was arrested in a decade-old money laundering case for alleged terror financing. The court denied the relief to Shah, who is currently in judicial custody, after the Enforcement Directorate or ED said that he was not needed for further custodial interrogation. On August 3, the court had allowed the ED custody of Shah after the agency alleged that he was "ruining" the country by using money to fund terror. Shah was arrested by the ED a day after several Hurriyat leaders were taken into custody of the National Investigating Agency or NIA in a case of alleged terror funding in the Valley to fuel unrest. He was arrested in connection with the August 2005 case in which the Special Cell of Delhi Police had arrested Mohammed Aslam Wani (35), an alleged hawala dealer who is currently in ED custody, claiming that Rs 63 lakh was recovered from Wani out of which Rs 52 lakh was allegedly to be delivered to Shah. The agency had earlier issued summonses to Shah in the case, the prosecution had said, adding that Wani had claimed that he had given Rs 2.25 crore to Shah. Investigating agencies like the NIA have cracked down on Hurriyat leaders like Syed Ali Shah Geelani's son-in-law Altaf Ahmed Shah, also known as Altaf Fantoosh -- and six other Kashmiri separatists.